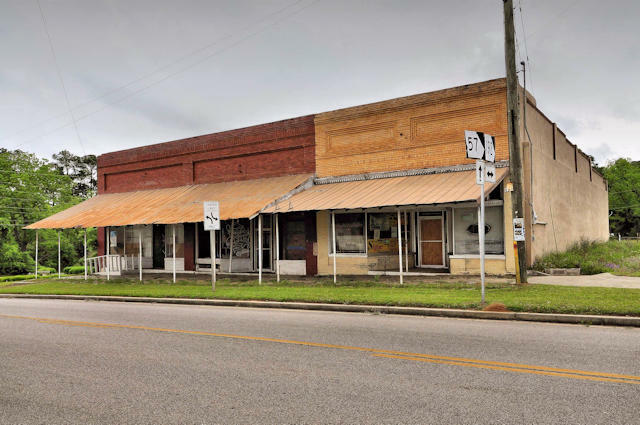 Dee Bird Bivens writes: When I was a child in Stillmore, this was Mr. Henry Johnson’s General Store where you could buy everything from penny candy to overalls. Although it looks like several different stores now, it was one big store that took up the entire building. When I was a child in Stillmore, this was Mr. Henry Johnson’s General Store where you could buy everything from penny candy to overalls. Although it looks like several different stores now, it was one big store that took up the entire building.